By all culinary — and environmental — standards, Cafe Miranda is noteworthy. 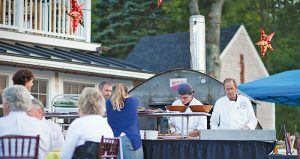 Altiero’s Headacre Farm, owned since 2000, is just up the road in Owls Head. A portion of the products used at the restaurant are grown there, just a mile away. In recent years, Altiero has been named a Downeast Chef of the Year and has published a cookbook titled “Adventures in Comfort Food.” And the Maine Department of Environmental Protection has recognized Cafe Miranda as an environmental leader. Cafe Miranda staff make the business tick. From restaurant to statewide catering with mobile wood ovens, Cafe Miranda is a complex, soulful entity. 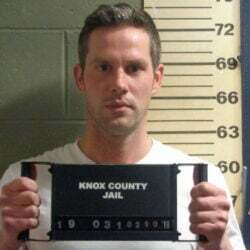 for the Knox County Homeless Coalition. 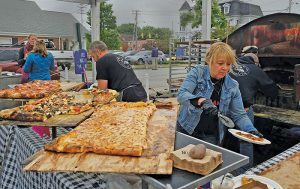 Threshers Brewing Co., Camden National Bank, Wallace Tent & Party Rentals and Rock City Coffee co-sponsored the event, where pizza, beverage and cookbook sales, as well as direct donations from attendees, raised $7,000. Hannaford Supermarkets contributed another $10,000, more than doubling the total funds raised for the homeless coalition. It may have been the first Flock Party, but Altiero is sure it won’t be the last. 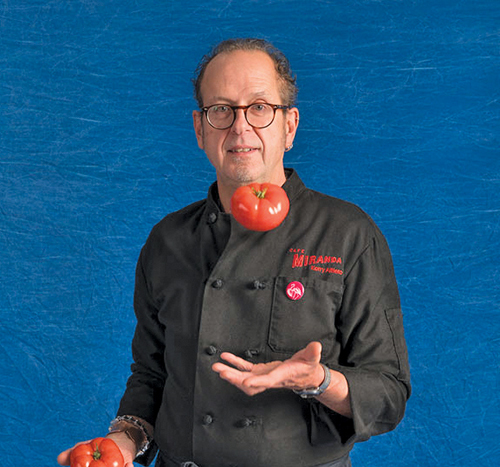 These monthly profiles are brought to you by Hannaford Supermarkets, partners with local chefs since 1883. Hannaford works with more than 800 local farms and food producers.